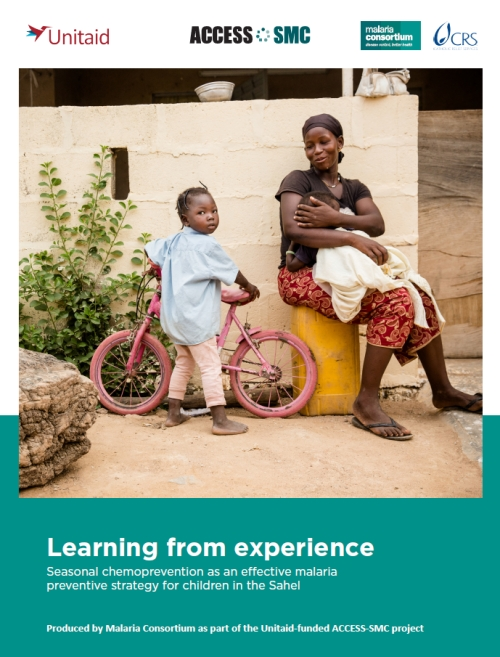 ACCESS-SMC was launched in 2015 to overcome barriers to SMC scale-up, supporting national malaria control/ elimination programmes (NMCPs) in Burkina Faso, Chad, Guinea, Mali, Niger, Nigeria and The Gambia. Funded by Unitaid, the project was led by Malaria Consortium in partnership with Catholic Relief Services and supported by the London School of Hygiene & Tropical Medicine (LSHTM), Centre de Support de Santé International, Management Sciences for Health, Medicines for Malaria Venture, and Speak Up Africa. The project aimed to provide up to 30 million SMC treatments to 7.5 million children under five per year for two years, preventing millions of cases of malaria and helping to avert many thousands of deaths. This would require rapidly expanding the global supply of quality-assured and child-friendly SMC treatments, which would be achieved by significantly increasing predictable demand through feasible, acceptable and affordable implementation of SMC owned by national governments. This paper shares learning and recommendations from the ACCESS SMC project.